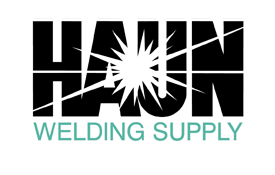 Since HAUN WELDING SUPPLY's inception in 1958 and HAUN SPECIALTY GASES' inception in 2005, the companies have been delivering the best in quality and value. This philosophy has helped the two companies grow into industry leaders, distributing a wide range of industrial, medical and specialty gases, welding equipment, tools and supplies throughout New York State, northern Pennsylvania, and Vermont. As the many satisfied customers have come to know, THE HAUN COMPANIES offer products and services that you can depend on and an efficient cost-effective partnership that will help your business succeed. “Gas supply is one of Haun’s major market segments, and increasing demand led to the creation in 2005 of Haun Specialty Gases, a high-efficiency gas fill plant that supplies high pressure industrial and medical gases, as well as high purity specialty gases. Haun recently moved the gas plant into a new headquarters that boasts what is believed to be the largest fill island in the country at 120 feet long and 20 feet wide. In addition, the new plant is fully automated for all high pressure and liquid gases—also a first in the industry. CryoGas International sat down with company President Mark Haun and Fill Plant Manager Al Dohrn, along with CryoVation President Ric Boyd, to learn more about what the state-of-the-art plant means for Haun and his customers.“ ~ March 2011 - CryoGas International. To read the full article click here.